A portrait of Ögedei during the Great Yuan. Ögedei Khan (Mongolian: Өгэдэй, Ögedei; also Ogotai or Oktay; Ogodei) (c. 1186 – December 11, 1241) was the third son of Genghis Khan and second Great Khan(Khagan) of the Mongol Empire by succeeding his father. He continued the expansion of the empire that his father had begun, and was a world figure when the Mongol Empire reached its farthest extent west and south during the invasions of Europe and Asia.Like all of Genghis’ primary sons, he participated extensively in conquests in China,Iran and Central Asia. Ögedei was the third son of Genghis Khan and Börte Ujin. He participated in the turbulent events of his father’s rise. When he was 17 years old, Genghis Khan experienced the disastrous defeat of Khalakhaljid Sands. Ögedei was heavily wounded and lost on the battlefield. His father’s adopted brother and companion Borokhula rescued him. Although already married, in 1204 his father gave him Toregene, the wife of a defeated Merkit chief. Genghis Khan and three of his four sons. After Genghis was proclaimed Emperor or Khagan in 1206, myangans (1000’s) of theJalayir, Besud, Suldus, Khongqatan clans were given to him as his appanage. Ögedei’s territory occupied the Emil and Hobok rivers. According to his father’s wish, Ilugei, the commander of the Jalayir, became Ögedei’s tutor. Ögedei, along with his brothers, campaigned independently for the first time in November, 1211 against the Jin Dynasty (1115–1234). He was sent to ravage the land south through Hebei and then north through Shanxi in 1213. Ögedei’s force drove the Jin garrison out of the Ordos and he rode to the juncture of the Xi Xia, Jin and Song domains. During the Mongol conquest of Eastern Persia, Ögedei and Chagatai massacred the residents of Otrar after a five-month siege in 1219-20 and joined Jochi who was outside the walls of Urganch. Because Jochi and Chagatai were quarreling over the military strategy, Ögedei was appointed by Genghis Khan to oversee the siege of Urganch. They captured the city in 1221. When the rebellion broke out in south east Persia and Afghanistan, Ögedei also pacified Ghazni. The Empress Yisui and Borte,(Genghis’ first wife) insisted that Genghis Khan designate an heir before the invasion of Khwarezmid Empire in 1219. After the terrible brawl between Jochi and Chagatai, they agreed that Ögedei was to be chosen as heir. Genghis confirmed their decision. Genghis Khan died in 1227, and Jochi had died a year or two year earlier. Ögedei’s younger brother held the regency until 1229. He was elected supreme khan in 1229, according to the kurultai held at Kodoe Aral on theKherlen River after Genghis’ death, although this was never really in doubt as it was Genghis’ clear wish that he be succeeded by Ögedei. After ritually declining three times, Ögedei was proclaimed Khagan of the Mongols on September 13, 1229. Chagatai continued to support his younger brother’s claim. Genghis Khan saw Ögedei’s characteristic as courtesy and generosity. His charisma is partially credited for his success in keeping the Empire on his father’s path. Thanks mostly to the organization left behind by Genghis Khan, and the personal charisma of Ögedei, the affairs of the Mongol Empire remained for the most part stable during his reign. To this it must again be added that Ögedei was an extremely pragmatic man, however, he made some mistakes during his reign. He had no delusions that he was his father’s equal as a military commander or organizer, and used the abilities of those he found most capable. After destroying the Khwarazmian empire, Genghis Khan was free to move against Hsi Hsia in 1226. In 1226, however, Jalal ad-Din Mingburnu, the last of the Khwarizm monarchs, returned to Persia to revive the empire lost by his father, Muhammad ‘Ala al-Din II. The Mongol forces sent against him in 1227 were defeated at Dameghan. Another army that marched against Jalal al-Din scored a pyrrhic victory in the vicinity of Isfahan, but was unable to follow up that success. With Ögedei’s consent to launch a campaign at last, Chormaqan left Bukhara at the head of 30 to 50,000 Mongol soldiers. He occupied Persia and Khorasan, two long-standing bases of Khwarazmian support. Crossing the Amu Darya River in 1230 and entering Khorasan without encountering any opposition, Chormaqan passed through it quickly. He left a sizable contingent behind under the command of Dayir Noyan, who had further instructions to invade western Afghanistan. Chormaqan and the majority of his army then entered the northern section of Persia known as Mazandaran in the autumn of 1230. In doing so, he avoided the mountainous area south of theCaspian Sea. That region was controlled by the Ismailis. Upon reaching the city of Rai, Chormaqan made his winter camp there and dispatched his armies to pacify the rest of northern Persia. In 1231, he led his army southward and quickly captured the cities of Qum and Hamadan. From there, he sent armies into the regions ofFars and Kirman, whose rulers quickly submitted, preferring to pay tribute to their Mongol overlords rather than to see their states ravaged. Meanwhile further east, Dayir steadily achieved his goals in capturing Kabul, Ghazni, and Zawulistan. With the Mongols already in control of Persia, Jalal al-Din was isolated in Transcaucasia where he was banished. Thus all of Persia was added to the Mongol Empire. 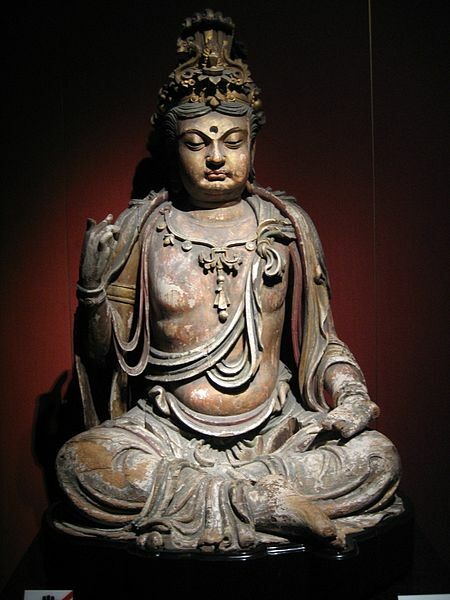 This article is about the Jurchen Jin Dynasty (1115–1234). For other Chinese dynasties whose names are also rendered “Jin” inpinyin, see Jin Dynasty (disambiguation). The Jīn Dynasty (Jurchen: Anchu, Aisin Gurun; Chinese: 金朝; pinyin: Jīn Cháo; Wade–Giles: Chin Dynasty, IPA: [tɕîn tʂʰɑ̌ʊ̯]); Khitan language: Nik, Niku; Mongolian: Altan Ulus; 1115–1234), also known as the Jurchen Dynasty, was founded by the Wanyan (完顏 Wányán) clan of the Jurchens, the ancestors of the Manchus who established the Qing Dynasty some 500 years later. The name is sometimes written as Jinn to differentiate it from an earlier Jìn Dynasty of China whose name is spelled identically in the Roman alphabet. The Jin Dynasty was founded in what would become northern Manchuria by theJurchen tribal chieftain Wanyan Aguda (完顏阿骨打) in 1115. The Jurchens’ early rival was the Liao Dynasty, which had held sway over northern China, including Manchuria and part of the Mongol region for several centuries. In 1121, the Jurchens entered into the Alliance on the Sea with the Song Dynasty and agreed to jointly invade the Liao. While the Song armies faltered, the Jurchens succeeded in driving the Liao to Central Asia. 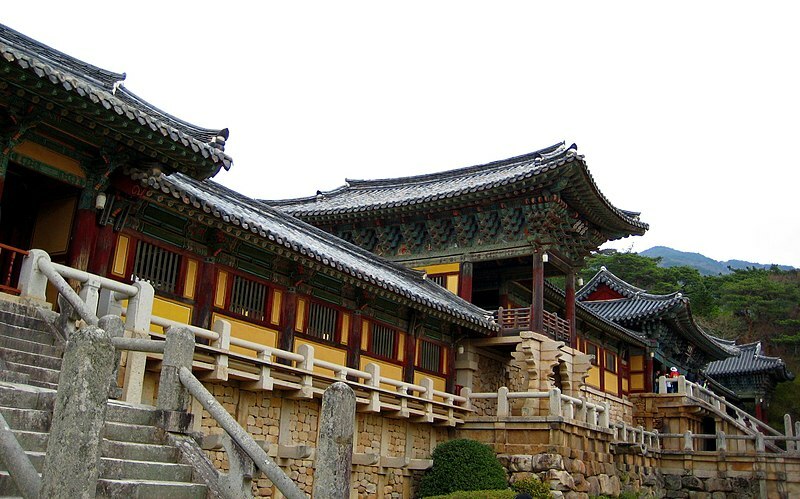 Also at this time, the Jin made overtures to the Korean kingdom of Goryeo, which Emperor Yejong refused. In 1125, after the death of Aguda, the Jin broke the alliance with the Song and invaded North China. On January 9, 1127, Jin forces ransacked Kaifeng, capital of the Northern Song Dynasty, capturing both Emperor Qinzong, and his father,Emperor Huizong, who had abdicated in panic in the face of Jin forces. Following the fall of Kaifeng, Song forces under the leadership of the succeedingSouthern Song Dynasty continued to fight for over a decade with Jin forces, eventually signing the Treaty of Shaoxing in 1141, calling for the cessation of all Song land north of the Huai River to the Jin and the execution of Song GeneralYue Fei in return for peace. After taking over Northern China, the Jin Dynasty became increasingly Sinicized. About three million people, half of them Jurchens, migrated south into northern China over two decades, and this minority governed about thirty million people. The Jurchens were given land grants and organized society into 1,000 households (猛安 – meng’an) and 100 households (謀克 – mouke). Many married Hans, although the ban on Jurchen nobles marrying Hans was not lifted until 1191. After Jin Emperor Tàizōng (太宗) died in 1135, the next three Jin emperors were grandsons of Wányán Āgǔdǎby three different princes. Young Jin Emperor Xīzōng (熙宗) (r. 1135-1149) studied the classics and wrote Chinese poetry. He adopted Han cultural traditions, but the Jurchen nobles had the top positions. Later in life, Emperor Xīzōng became an alcoholic and executed many officials for criticizing him. He also had Jurchen leaders who opposed him murdered, even those in his own Wanyan family clan. In 1149 he was murdered by a cabal of relatives and nobles, who made his cousin Wányán Liàng (完顏亮) the next Jin emperor. Because of the brutality of both his domestic and foreign policy, Wanyan Liang was posthumously demoted from the position of emperor. Consequently, historians have commonly referred to him by the posthumous name of Prince Hǎilíng (海陵王). 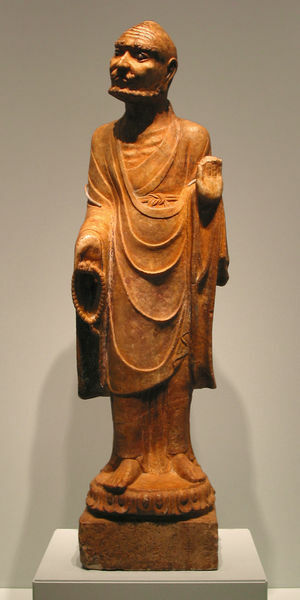 A marble statue of a Buddhist monk, 1180 AD, Jin Dynasty. Having usurped the throne, Wanyan Liang embarked on the program of legitimizing his rule as an emperor of China. In 1153, he moved the empire’s main capital fromHuining Fu in northern Manchuria (south of present-dayHarbin) to the former Liao capital, Yanjing (nowBeijing). Four years later, in 1157, to emphasize the permanence of the move, he razed the nobles’ residences in Huining. Hǎilíng also reconstructed the former Song capital, Bianjing (now Kaifeng), which had been sacked in 1127, making it the Jin’s southern capital. Prince Hǎilíng also tried to suppress dissent by killing Jurchen nobles, executing 155 princes. To fulfill his dream of becoming the ruler of all China, Prince Hǎilíng attacked the Southern Song in 1161. Meanwhile, two simultaneous rebellions erupted inManchuria: one of Jurchen nobles, led by Hǎilíng’s cousin, soon-to-be crowned Wányán Yōng (完顏雍), and the other of Khitan tribesmen. Hǎilíng had to withdraw Jin troops from southern China to quell the uprisings. The Jin were defeated in the Battle of Caishi and Battle of Tangdao. With a depleted military force, Prince Hǎilíng failed to make headway in his attempted invasion of the Southern Song. Finally he was assassinated by his own generals in December of 1161, due to his defeats. His son and heir was also assassinated in the capital. Although crowned in October, Wányán Yōng was not officially recognized as Jin Emperor Shìzōng (世宗) until the murder of Prince Hǎilíng’s heir. The Khitan uprising was not suppressed until 1164; their horses were confiscated so that the rebels had to take up farming. Other Khitan and Xi cavalry units had been incorporated into the Jin army. 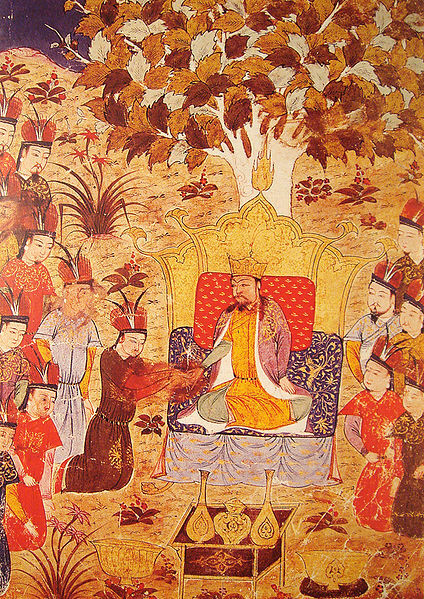 Because these internal uprisings had severely weakened the Jin’s capacity to confront the Southern Song militarily, the Jin court under Emperor Shizong began negotiating for peace. The Treaty of Lóngxīng (隆興和議) was signed in 1164 and ushered over 40 years of peace between the two empires. Shìzōng’s grandson, Emperor Zhāngzōng (章宗) (r. 1189-1208) venerated Jurchen values, but he also immersed himself in Chinese culture and married an ethnic Han woman. The Taihe Code of law was promulgated in 1201 and was based mostly on the Tang Code. In 1207 the Song tried to invade, but the Jin forces effectively repulsed them. In the peace agreement the Song had to pay higher annual indemnities and behead Hán Tūozhòu (韩侂胄), the leader of their war party. Starting from the early 13th century the Jin Dynasty began to feel the pressure of Mongols from the north. Genghis Khan first led the Mongols into Western Xia territory in 1205 and ravaged them four years later. In 1211 about 50,000 Mongols on horses invaded the Jin Empire and began absorbing Khitan and Jurchen rebels. The Jin army had a half million men with 150,000 cavalry but abandoned the “western capital” Datong (see also Badger’s Mount Campaign). The next year the Mongols went north and looted the Jin “eastern capital”, and in 1213 they besieged the “central capital”. In 1214 the Jin made a humiliating treaty but retained the capital. That summer, Jin Emperor Xuānzōng (宣宗) abandoned the central capital and moved the government to the “southern capital” of Kaifeng, making it the official seat of Jin Dynasty power. In 1216 a war faction persuaded Xuānzōng to attack the Song, but in 1219 they were defeated at the same place by the Yangtze River, where Prince Hǎilíng had been defeated in 1161. The Jin now faced a two front war which they could not afford. Furthermore, the Jin Emperor Āizōng (哀宗) won a succession struggle against his brother and then quickly ended the war and went back to the capital. He made peace with the Tanguts, who had been allied with the Mongols. Genghis Khan died in 1227 while his armies were conquering the Western Xia Dynasty. His son Ögedei Khaninvaded the Jin Empire in 1232 with assistance from the Southern Song. The Jurchens tried to resist; but when Kaifeng was attacked, Āizōng fled south. An allied army of Song and Mongols looted the capital in 1233, and the next year Āizōng committed suicide to avoid being captured, ending the Jin dynasty in 1234. 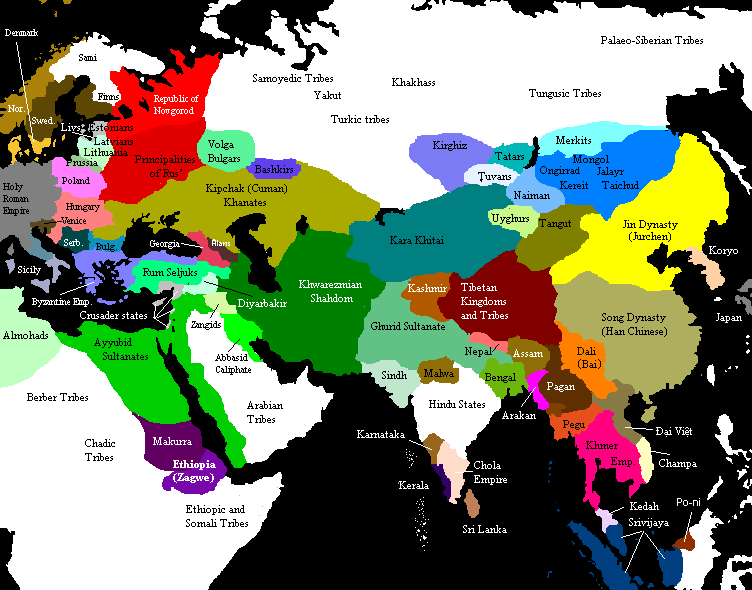 The territory of the Jin was to be divided between the Mongols and the Song. However, due to descrepancies, the Song and the Mongols eventually went to war with one another over these territories. 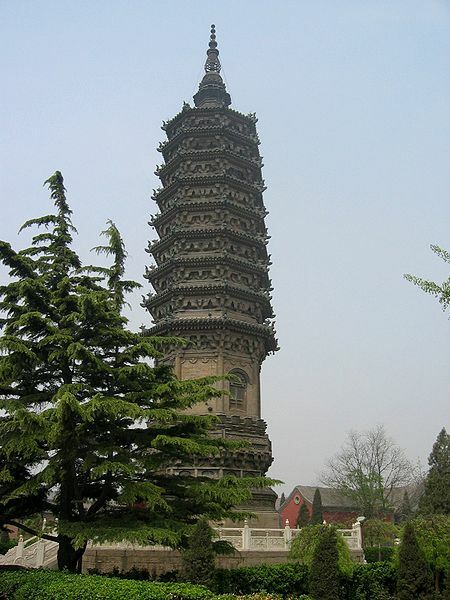 The Chengling Pagoda of Zhengding,Hebei province, built between 1161 and 1189 AD. As the Liao Empire fell apart and the Song retreated beyond the Yangtze, the army of the new Jin Dynasty absorbed many soldiers who formerly fought for the Liao or Song. The new Jin empire adopted many of the Song’s weapons, including various machines for siege warfare and artillery. In fact, the Jin use of cannons, grenades, and even rockets to defend besieged Kaifeng against the Mongols in 1233 is considered the first ever battle in human history in which gunpowder was used effectively, even though it failed to prevent the eventual Jin defeat. On the other hand, Jin Empire was not particularly good at naval warfare. Both in 1129-30 and in 1161 Jin forces were defeated by theSouthern Song navies when trying to cross the Yangtze River into the core Southern Song territory (see Battle of Tangdao and Battle of Caishi), even though for the latter campaign the Jin had equipped a large navy of their own, using Chinese shipbuildiers and even Chinese captains who had defected from the Southern Song. After thirty years of struggle, the Jurchen chief Nurhaci (努爾哈赤) combined the three Jurchen tribes and founded the Later Jin Dynasty(1616–1636). Nurhaci’s eighth son and heir, Huáng Tàijí (皇太極), later changed the name of his people from Jurchen to Manchu in 1635. The next year, he changed the name of the Later Jin to Qing in 1636. At the end of 1230, responding to the Jin’s unexpected defeat of the Mongol general Doqulkhu, the Khagan went south to Shanxiprovince with Tolui, clearing the area of the Jin forces and taking the city of Fengxiang. After passing the summer in the north, they again campaigned against the Jin in Henan, cutting through territory of South China to assault the Jin’s rear. By 1232 the Jin Emperor was besieged in his capital of Kaifeng. Ögedei soon departed, leaving the final conquest to his generals. After taking several cities, the Mongols, with the belated assistance of the Song Dynasty, destroyed the Jin in February 1234. However, a viceroy of the Song murdered a Mongol ambassador and the Song armies recaptured the former imperial capitals of Kaifeng, Luoyang, and Chang’an which were now ruled by the Mongols. In addition to the Mongol-Jin War, Ögedei crushed the Eastern Xia Dynasty in 1233, pacifying southern Manchuria. Ögedei subdued theWater Tatars in northern part of the region and suppressed their rebellion in 1237. The Mongols under Chormaqan returned to Caucasus in 1232. Ganjak’s walls were breached by catapult and battering ram in 1235. The Mongols eventually withdrew after the citizens of Irbil agreed to send a yearly tribute to the court of the khagan. Chormaqan waited until 1238, when the force of Mongke was also active to the north Caucasus. After subduing Azerbaijan and Greater Armenia, Chormaqan took Tiflis. In 1238, the Mongols captured Lorhe whose ruler, Shahanshah, fled with his family before the Mongols arrived, leaving the rich city to its fate. After a putting up a spirited defense at Hohanaberd, the city’s ruler, Hasan Jalal, submitted to the Mongols. Another column then advanced against Gaian, ruled by Prince Avak. The Mongol commander Tokhta ruled out a direct assault and had his men construct a wall around it and its prince Avak surrendered soon. By 1240, Chormaqan had completed the conquest of Transcaucasia, forcing the Georgian nobles to surrender. A drawing of Battle of Choein at theWar Memorial of Korea. In 1224 a Mongol envoy was killed in obscure circumstances and Korea stopped paying tribute. Ögedei dispatched Saritai (Sartaq) to subdue Korea and avenge the dead envoy in 1231. Thus, Mongol armies began to invade Korea in order to subdue the kingdom. TheGoryeo King temporarily submitted and agreed to accept Mongol overseers. When they withdrew for the summer, however, Choe Umoved the capital from Kaesong to Ganghwa Island. Saritai was hit with a stray arrow and died as he campaigned against them. Ögedei announced plans for the conquest of the Koreans, the Southern Song, the Kipchaks and their European allies, all of whom killed Mongol envoys at the kurultai in Mongolia in 1234. Ögedei appointed Danqu commander of the Mongol army and made Bog Wong, the defected Korean general, governor of 40 cities with their subjects. When the court of Goryeo asked the peace treaty in 1238, Ögedei demanded the king to summon before him in person. The Goryeo king finally sent his relative Yeong Nong-gun Sung with 10 noble boys to Mongolia as hostages, temporarily ending the war in 1241. It is said that Ögedei recruited his kheshig with Koreans. The Mongol Empire expanded westward under the command of Batu Khan to subdue the Russian steppe and the rest of Europe. Their western conquests included almost all ofRussia (save Novgorod, which became a vassal), Hungary, and Poland. During the siege ofKolomna, the Khagan’s half brother Khulgen was killed by an arrow. After the conquest of Volga-Bulgaria, Alania, and Rus principalties, Ögedei’s son Güyükand Chagatai’s grandson Buri ridiculed Batu and the Mongol camp suffered dissention. The Khagan harshly criticized Guyuk that “You broke the spirit of every man in your army…Do you think that the Russians surrendered because of how mean you were to your own men”.Then he sent Guyuk back to continue the conquest of Europe. Ögedei’s sons Kadanand Güyük attacked Poland and Transylvania, respectively. Ögedei Khan had granted permission to invade the remainder of Europe, all the way to the “Great Sea,” the Atlantic Ocean, and only his death prevented the possible invasions ofAustria, Germany, Italy, France, and Spain, and the remaining small European principalities. Indeed, Mongol forces were moving on Vienna, launching a fierce winter campaign against Austria and Germany in the first wave into Western Europe, when Ögedei died. Some historians believe only his death prevented the complete conquest of Europe. In a series of razzias from 1235 to 1245, the Mongols commanded by Ögedei’s sons penetrated deep into the Song Dynasty and reached Chengdu, Xiangyang and Yangtze River. But they could not succeed in completing their conquest due to climate and number of the Song troops. However, Ögedei’s son Khochu died in the process. In 1240, Ögedei’s another son Khuden dispatched a subsidiary expedition to Tibet. The situation between the two nations worsened when the Song officers murdered Ögedei’s envoys headed by Selmus. The Mongol expansion throughout the Asian continent under the leadership of Ögedei helped bring political stability and re-establish theSilk Road, the primary trading route between East and West. Ögedei appointed Dayir commander of Ghazni and Menggetu commander in Qonduz. In winter 1241 the Mongol force invaded the Indus valley and besieged Lahore. Dayir died storming the town, however, on December 30, 1241, and the Mongols butchered the town before withdrawing from the Delhi Sultanate. Portrait of Ögedei Khagan (the 14th century). Recreation of a Yuan portrait in the National Palace Museum in Taipei. the Christian eastern Turks, represented by Chinqai, the Uyghur scribe and the Keraits. the North Chinese Confucian circle, represented by Yelu Chucai, a Kidan, and Nianhe Zhong-shan, a Jurchen. Mahamud Yalavach promoted a system in which the government would delegate tax collection to tax farmers who collect payments in silver. Yelu Chucai encouraged Ögedei to institute a traditional Chinese system of government, with taxation in the hands of government agents, and payment in a government issued currency. The Muslim merchants, working with capital supplied by the Mongol aristocrats, loaned at higher interest the silver needed for tax payments. At the same time the Mongols began circulating paper currencybacked by silver reserves. Ögedei abolished the branch departments of state affairs and divided the areas of the Mongol ruled China into 10 routes according to the suggestion of Yelü Chucai. He also divided the empire into Beshbalik administration, Yanjing administration while the Headquarter in Karakorum directly dealt with Manchuria, Mongolia and Siberia. Late in his reign, Amu Daryaadministration was established. Turkestan was administered by Mahamud Yalavach while Yelu Chucai administered North China from 1229 to 1240. Ögedei appointed Shigi Khutugh chief judge in China. In Iran, Ögedei appointed first Chin-temur, a Kara-kitai, and thenKorguz, an Uyghur who proved to be honest administrator. Later, some of Yelu Chucai’s duties were transferred to Mahamud Yalavach and taxes were handed over to Abd-ur-Rahman, who promised to double the annual payments of silver. The Ortoq or partner merchants lent Ögedei’s money at exorbitant rates of interest to the peasants, however, Ögedei considerably banned higher rates. Despite it proved profitable, many people fled their homes to avoid the tax collectors and their strong-arm gangs. Ögedei had imperial princes tutored by the Christian scribe Qadaq and the Taoist priest Li Zhichang and built schools and academy. Ögedei Khan also decreed to issue paper currency backed by silk reserves and founded a Department which was responsible for destroying old notes. Yelu Chucai protested to Ögedei that his large-scale distribution of appanages in Iran, Western and North China, and Khorazm, could lead to a disintegration of the Empire. Ögedei thus decreed that the Mongol nobles could appoint overseers in the appanages, but the court would appoint other officials and collect taxes. The Khagan proclaimed the Great Yassa as integral body of precedents, confirming the continuing validity of his father’s commands and ordinances, while adding his own. Ögedei codified rules of dress, conduct during the kurultais. Throughout the Empire, in 1234, he created postroad stations (Yam) with a permanent staff who would supply post riders’ needs. Relay stations were set up every 25 miles and the yam staff supplied remounts to the envoys and served specified rations on them. The attached households were exempt from other taxes but they had to pay a qubchuri tax to supply the goods. Ögedei ordered Chagatai and Batu to control their yams separately. The Khagan prohibited the nobility from issuing paizas (tablet that gave the bearer authority to demand goods and services from civilian populations) and jarliqs. Ögedei decreed that within decimal units one out of every 100 sheep of the well-off should be levied for the poor of the unit, and that one sheep and one mare from every herd should be forwarded to form a herd for the imperial table. 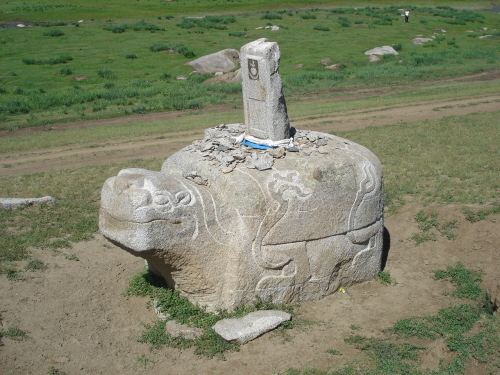 From 1235-38 Ögedei constructed a series of palaces and pavilions at stopping places in his annual nomadic route through central Mongolia. 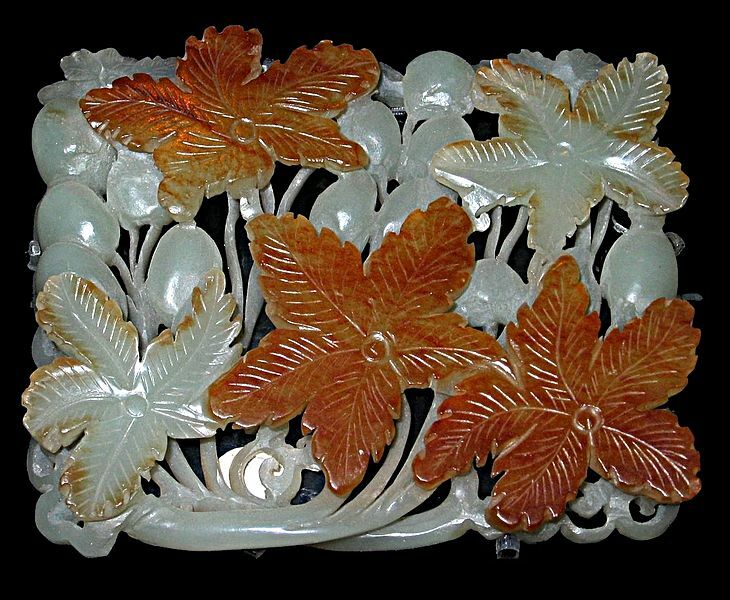 The first palace Wanangong was constructed by North Chinese artisans. The Emperor urged his relatives build residences nearby and settled the deported craftsmen from China near the site. The construction of the city,Karakorum (Хархорум), was finished in 1235, assigning different quarters to Islamic and North Chinese craftsmen, who competed to win Ögedei’s favor. Earthen walls with 4 gates surrounded a city. Attached were private apartments, while in front of stood a giant stone tortoise bearing an engraved pillar, like those that were commonly used in East Asia. There was a castle with doors like the gates of the garden and a series of lakes where many water fowl gathered. Ögedei erected several houses of worship for his Buddhist, Muslim, Taoist, and Christian followers. In the Chinese ward, there was a Confucian temple where Yelu Chucai used to create or regulate a calendar on the Chinese model. He was considered to be his father’s favorite son, ever since his childhood. As an adult Ögedei was known for his ability to sway doubters in any debate in which he was involved, simply by the force of his personality. He was a physically big, jovial and very charismatic man, who seemed mostly to be interested in enjoying good times. He was intelligent and steady in character. His charisma was partially credited for his success in keeping the Mongol Empire on the path that his father had set. To encourage trade caravans he paid extremely high prices for all manner of goods whether he needed them or not. Ögedei squandered much of his wealth, passing out pearls, golds, coins and other precious stones to the people. The constant outflow from the Imperial treasury had to be made up by taxes, principally on North China. Ögedei kept peace among his family, criticizing his son and Chagatai’s grandson. The sudden death of Tolui seems to have affected him deeply. According to some sources, Tolui sacrificed his own life, having a drink in shamanist ritual in order to save Ögedei who was suffering from illness. Ögedei fell victim to alcoholism. Chagatai entrusted an official to watch his habit, but Ögedei managed to drink anyway. When he died at dawn on December 11, 1241, after a late-night drinking bout with Abd-ur-Rahman, the people blamed the sister of Tolui’s widow and Abd-ur-Rahman. The Mongol aristocrats recognized, however, that the Khagan’s own lack of self control had killed him. Ögedei was also known to be a humble man, who did not believe himself to be a genius, and was willing to listen and use the great generals that his father left him, as well as those he himself found to be most capable. He was the Emperor (Khagan) but not adictator. 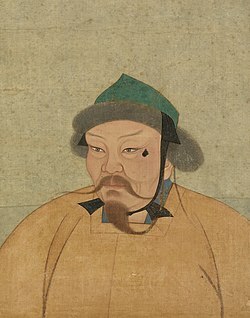 Like all Mongols at his time, he was raised and educated as a warrior from childhood, and as the son of Genghis Khan he was a part of his father’s plan to establish a world empire. His military experience was notable for his willingness to listen to his generals, and adapt to the circumstances. He was an extremely pragmatic person, much like his father, and looked at the end, rather than the means. His steadiness of character and dependability were the traits that his father most valued, and that gained him the role of successor to his father, despite his two older brothers. However, he used violence to strengthen his authority. In 1237 Ögedei dispatched his imperial army to punish the Oirat and seize their lands after the forest people refused to give tributes. Around 4,000 young girls became subject to war violence. Ögedei had nominated his grandson Shiremun as his heir, but Güyük eventually succeeded him after the five-year regency of his widow Töregene Khatun. However, Batu, the Khan of the Kipchak Khanate (the Ulus of Jochi) in Russia, nominally accepted Guyuk, who died on the way to confront Batu. It was not until 1255, well into the reign of Mongke Khan, that Batu felt secure enough to again prepare to invade Europe. Fortunately for the Europeans, he died before his plans could be implemented. Ögedei had many khatuns and concubines. Ögedei married first Borakchin and then Toregene. Other wives included Mukha and Jachin. Kochu, died during the campaign in Song China.